My interest in born digital literature is born out of a fascination with creative uses of computing technologies for the purpose of human expression. 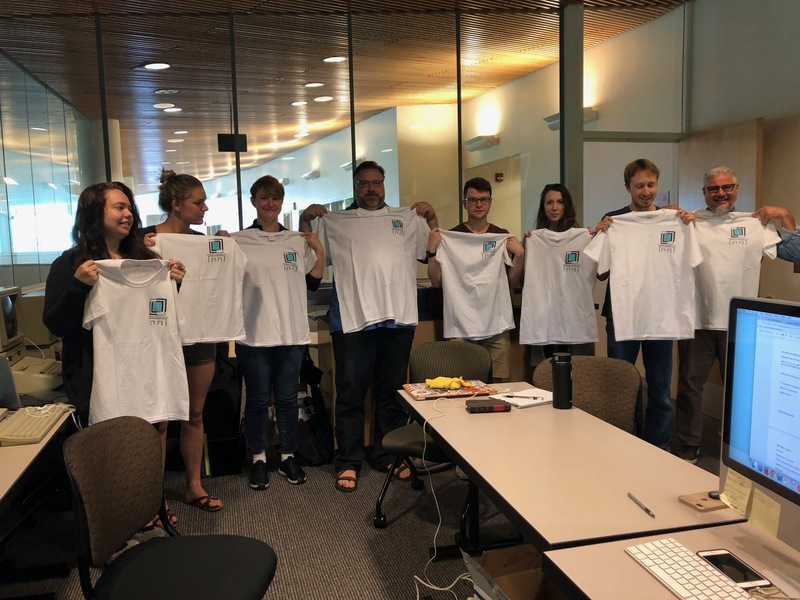 This same interest extends to tools produced for teaching the foundations of that expression––namely born digital multimedia and interactive software for composition and literature college classrooms. 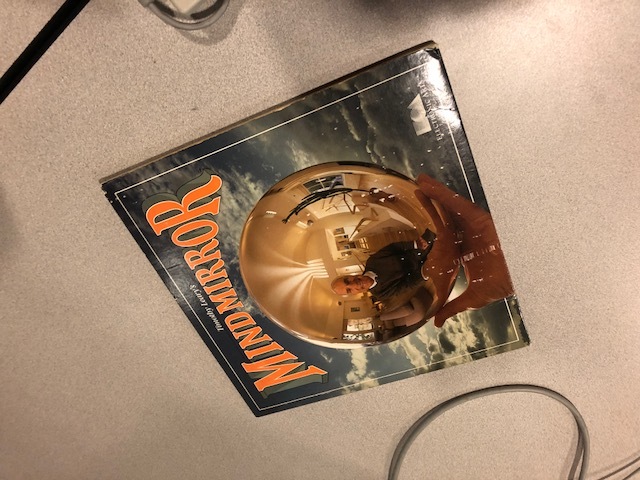 Last week we received a donation of such media from my long-time Computers & Writing colleague, Janice Walker, who recently retired from teaching. 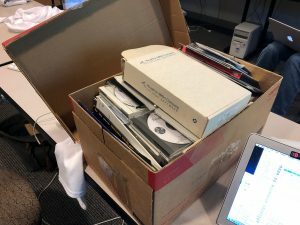 The box she sent was full of software many of us used––and created––from the mid-1990s to the mid-2000s when book publishers and independent producers were all leaping (or putting their toe) in the multimedia waters that emerged following the adoption of computers in the college classroom. It was also a time that coincided with the introduction of robust media presentation and dissemination made possible, first, by CD-ROMs and quickly following it, the web browser. 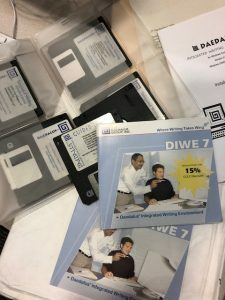 Opening up the box of The Daedalus Group’s DIWE demonstration software on 3.5-inch floppy disks, McGraw-Hill’s AllWrite! CD-ROMs, the elegantly designed box containing The Mercury Reader and presentation folder for Michael Day’s Stylex, numerous cardboard folios for a slew of software programs just waiting for first-year composition students to log in with the secret number found on their “access code card” brought back memories of a weekend getaway with Becky Rickly, Joyce Carter, Susan Lang, Judy Kirkpatrick, Michael Day, and John Barber following a CCCC conference; a dinner with many of these same people in Honolulu during a CW conference; and a symphony experience with McGraw-Hill executive Lisa Moore at yet another CCCC. 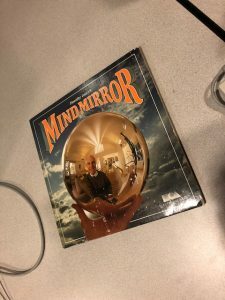 Nostalgia aside, The Janice Walker Collection of Educational Media tells an important story about an important time in cultural history when we had to teach students how to compose on a computer and essentially use computers for their educational experience and beyond. Such lessons seem to be no longer needed today in a world where our students are never without a computing device in their hands. 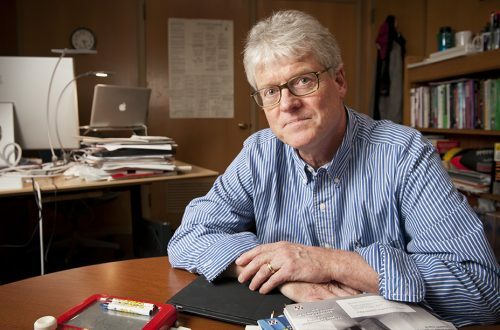 But in terms of the fundamental issues these software programs essentially address––that is, the connections among the ethical, theoretical, and practical uses of computers as tools of production––they remain crucial to the survival of our democracy. Needless to say, as I was inventorying the contents of the box yesterday, I thought of a dozen topics for dissertations and master theses for composition and educational technology scholars just waiting to be written. Look over the list yourself and see if you can identify a few. You may even recognize the names of a few people. . .
Folio with CD-ROM and Manual (called a Primer), includes a personal letter to Janice Walker from Lynn Huddon. Plastic presentation book environment containing four 3.5-inch floppy disks and User’s Manual. Plastic CD-ROM sleeve with CD-ROM, includes licensing agreement. Cardboard mailer with one 3.5-inch floppy disk, with 8-page User’s Manual License Agreement. Cardboard CD-ROM folio with a CD-ROM. Cardboard CD-ROM mailer with CD-ROM of content aimed at accompanying seven different textbooks. DVD folio containing one CD-ROM and a 32 page manual. Manilla folder with plastic notebook insert with seven 3.5-inch floppy disks: 1) Guided Tour, 2) Demonstration Diskette, 3) five installation disks, with a 22-page Installation Guide. 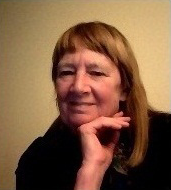 Include personal letter to Janice Walker dated 27 September 1996 from the Director of Marketing and Sales, Susan Meigs. The original envelop has been retained. Cardboard CD-ROM mailer with one CD-ROM. Cardboard CD-ROM mailer with one CD-ROM, with sticker announcing 15% discount for CCCC conference attendees. Unopened cardboard mailer for CD-ROM, includes a letter addressed to Janice Walker from the VP of Sales, Marc Schnabolk. Plastic CD-ROM sleeve with CD-ROM and brief informational flyer. Presentation notebook with one 3.5-inch floppy disk with accompanying documentation. 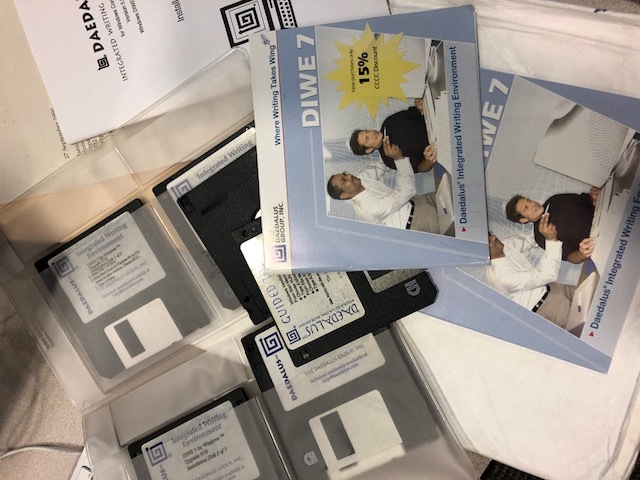 Cardboard presentation folder that includes two 3.5-inch floppy disks and a user’s manual. Cardboard packing box with seven 3.5-inch floppy disks, 22 page manual, and flyer showing the correlation to the textbook, The Writer’s Express, Second Edition by Kathleen McWhorter. Unopened white cardboard folio containing removeable disk. Plastic presentation folder containing one CD-ROM, 104-page User’s Manual, and faxable order form. The CD-ROM and accompanying User’s Guide. Folio containing three CD-ROMs. An additional CD-ROM not part of this original set put into the folio. Cardboard folio containing a 132 page booklet, two 3.5-inch floppy disks, installation notice, and registration mailer. Also included in the collection is the promotional mailer about the software sent directly to Janice Walker. Unopened cardboard package containing the access code card for College Writing Online. Unopened cardboard mailer containing Access Code Card required for access to online course materials. Cardboard CD-ROM mailer with CD-ROM. Unopened box of 3.5-inch floppy disks and other materials. Unopened cardboard folio containing removeable disk. Special note: The second CD-ROM is extra and not part of the original packaging. Unopened cardboard folio containing CD-ROM. Paper sleeve containing CD-ROM with cardboard packaging material with notes in Janice Walker’s hand. Cardboard CD-ROM mailer for CD-ROM. It includes the InfoTrac College Edition passcode. Cardboard folio containing 5.25 floppy disk. Cardboard mailer containing 3.5-inch floppy disk 58-page Manual. Make Presentations Work for You. VHS Cassette in original case. VHS Cassette in plastic case. Plastic sleeve containing a CD-ROM for the 2004 CCCC conference in San Antonio, TX. A children’s book with accompanying CD-ROM. DVD case with one DVD, accompanying 22-page zine, and subscription card.